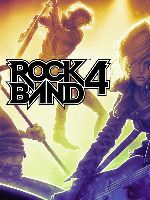 Rock Band 4: Juni-Update bringt "Missions" und "Seasons"
"That does mean Season 1 will begin with everyone in Bronze, though your placement up until then will determine your rewards, so don’t slack. Demotion is gone in the new Season format, so if you need an off week, that’s cool, you can do that and still reach Bloodstone at the end. However, Rivals Points have been adjusted, and reaching Bloodstone sooner in a Season will reward more points than reaching it in week eight. After eight weeks, you claim your rewards, and everyone drops to Bronze as another Season begins. There will still be three Spotlight Songs for scoring and many other songs for XP, but the overarching framework has been tweaked for a more enjoyable experience." "For example: Play 5 Big Rock Endings; Get a score ending in 7; Miss a single note in a song. Some Missions are even Crew-based, where everyone in your crew contributes to meet the goal - like earning 5,000 XP in a Rivals Challenge. Timed Missions, themed Missions, SECRET Missions. Take your favorite badge as a tag next to your name when playing online, then ask your friends how they earned theirs to find a new goal to set yourself."